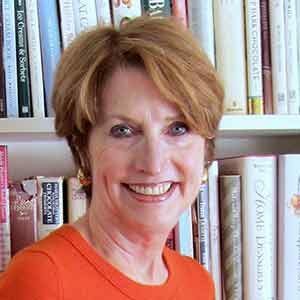 Betty Rosbottom is the author of The Big Book of Backyard Cooking, Coffee, and Waffles. She writes a syndicated column, “That’s Entertaining,” for Tribune Media Services. When she’s not writing or hosting a popular New England cooking show called “On the Menu,” she leads culinary tours to Europe.